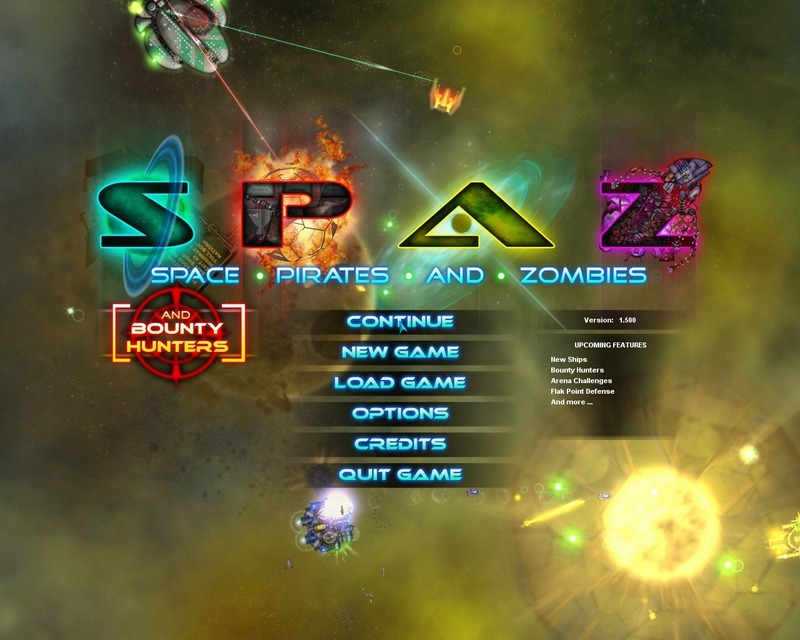 Space Pirates and Zombies (SPAZ) was the first game I ever reviewed for my beloved blog here. 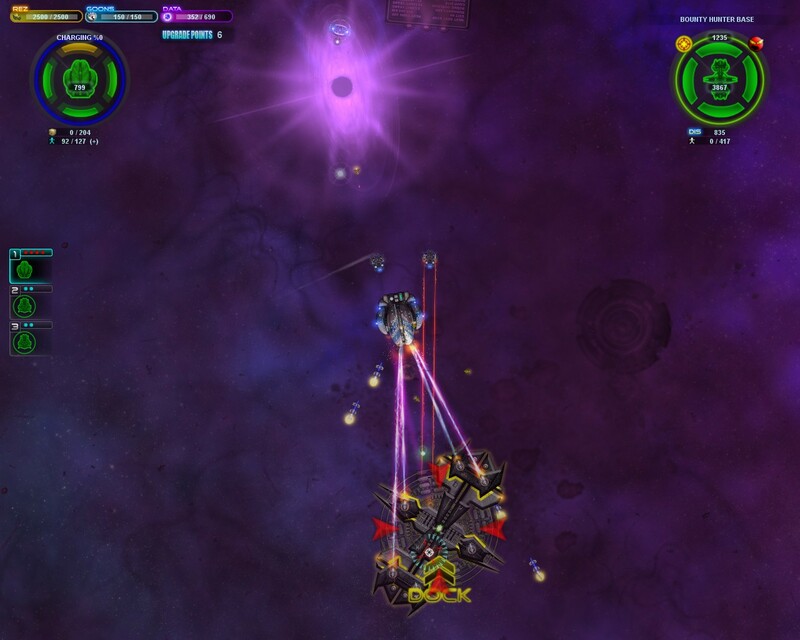 I spent a lot of time and had a lot of fun blowing up ships, gaining new hulls and making new friends and enemies before and since the game was released. Once I wrote that review, I moved on however, due to my short attention span — I RARELY finish games — and so many other games to cover, but in that time, SPAZ has become a pretty big success. 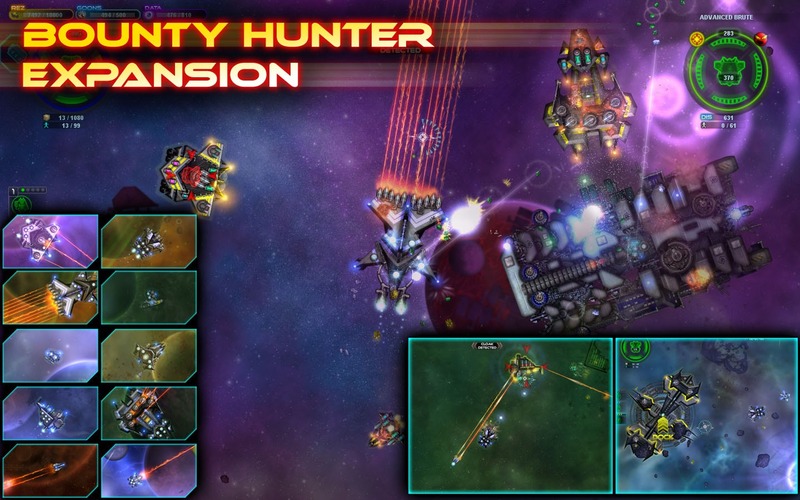 Now, months later, a new and FREE expansion is being released — called Bounty Hunters — which adds a new faction, new ships, and more reasons to potentially return to this awesome game. I spent some hours with the expansion — thanks to the awesome folks at MinMax games sending me an early copy — and now feel confident in sharing how I feel about the expansion. Is it worth your time to return to the game, or does it make it a better value if you’ve not purchased it yet? Read on, my friend. The first downside to this expansion, in my opinion, is that you can’t simply call the game SPAZ anymore. You now have to call it SPAZABH, which doesn’t roll off the tongue nearly as well. That aside, how does SPAZABH add upon and change the core gameplay of the original SPAZ? Let’s first talk about the biggest addition to the game, the new Bounty Hunter faction. 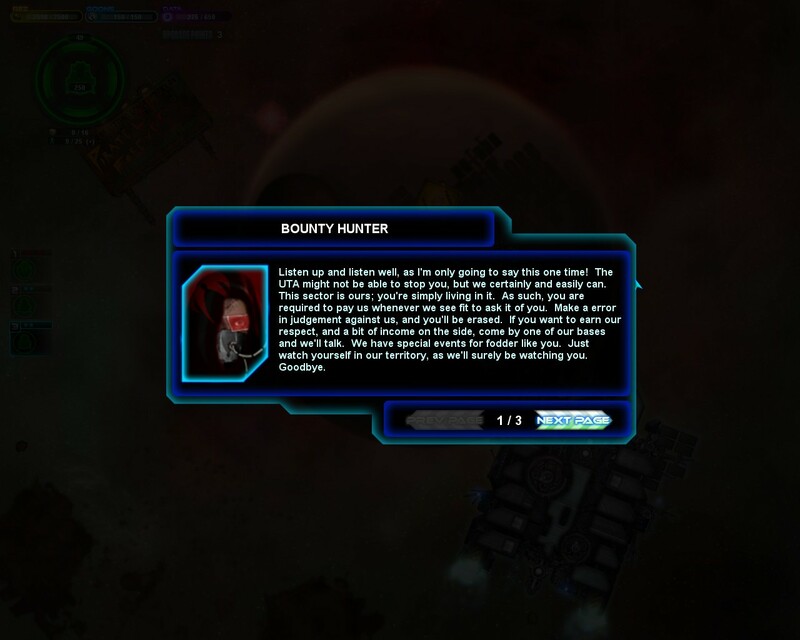 Bounty hunters are basically neutral mercenaries who look out for them and their kin. They’re seamlessly — and I thought this was a nice touch — added into the game even if you start from a previous save game file, as I did. Upon restoring your latest save game, you now receive a communique from the Bounty Hunters saying they’re going to be keeping an eye on you, and will stop you if the UTA can’t. They might demand payment if you do something you don’t like, or help you out if you need it. 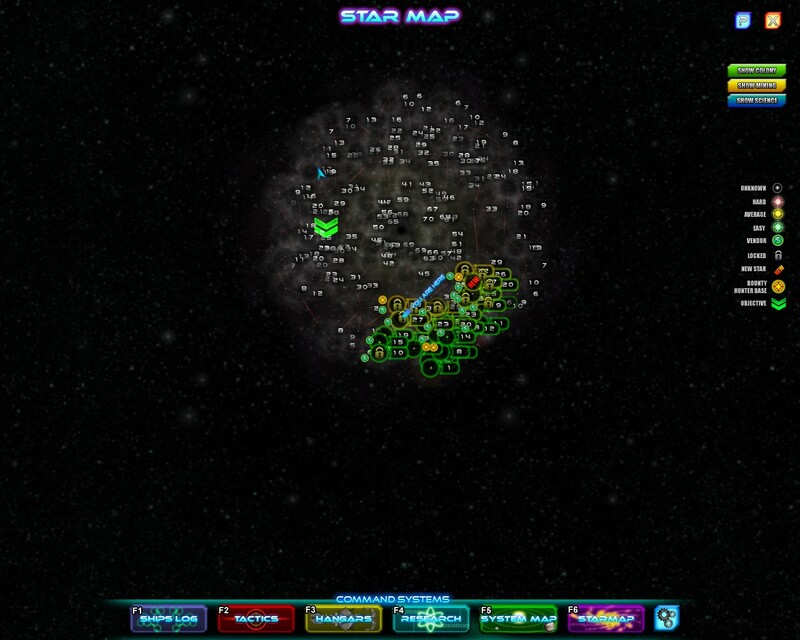 Thusly, once you look at your system or galaxy maps, you’ll see new yellow dots with crosshairs in them, showing Bounty Hunter strongholds. The Bounty Hunters watch systems with these bases, as well as systems immediately connected, so you now not only have a new faction to deal with, but one who might dislike some of your actions and might charge you a fee because of ’em. They can also help you out though. See Those Little Yellow Dots? Those are Bounty Hunter bases! 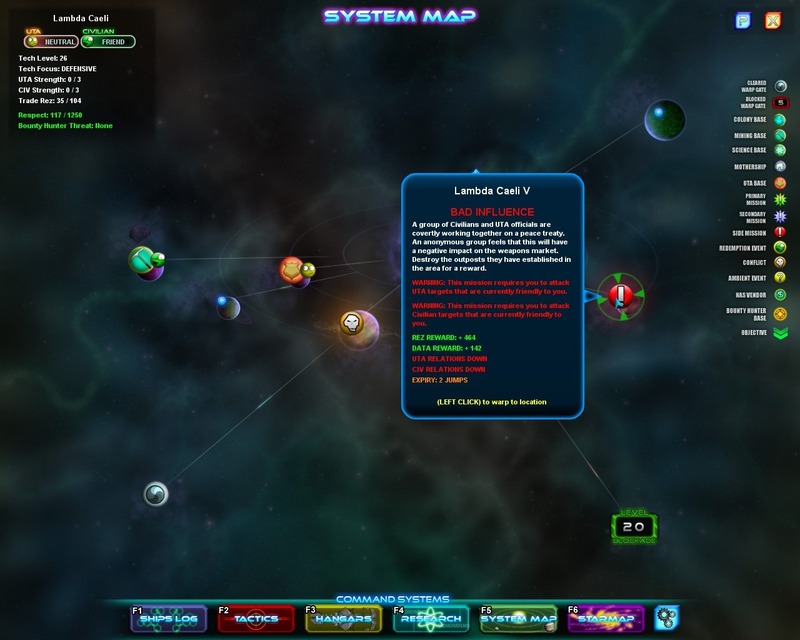 Now each system has a different level of threat posed by the Bounty Hunters, and you’re informed of that level whenever you enter a system. That level can also change depending on your actions, which we’ll look at in a little bit. Once I saw the new yellow dots on the map, I headed to a nearby system with a Bounty Hunter base and immediately docked. 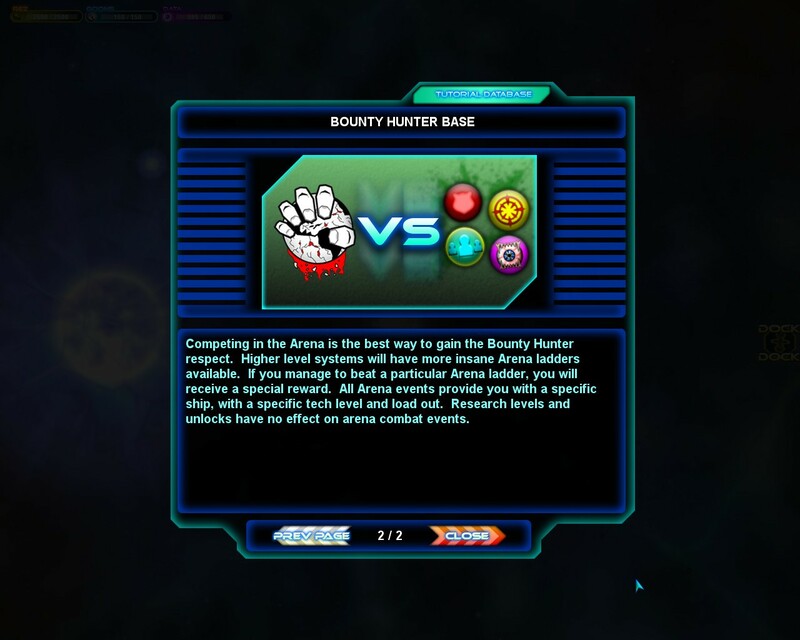 Once there, you can trade Rez for Respect — the currency of the Bounty Hunters — sell respect for a Bounty Hunter assault on a blockaded stargate, or enter Arena combat. Arena combat, I’ll say right now, is AWESOME. You earn Rez and Respect for winning matches, and winning a tier gets you a bonus, which in my case was a specialist. When you choose an arena tier, you have to go through several stages, each with a choice of difficulty — Bronze/Novice, Silver/Normal, Gold/Hard — and I think the different levels give you higher rewards. I played on Silver/Normal the entire time, and had a GREAT time. 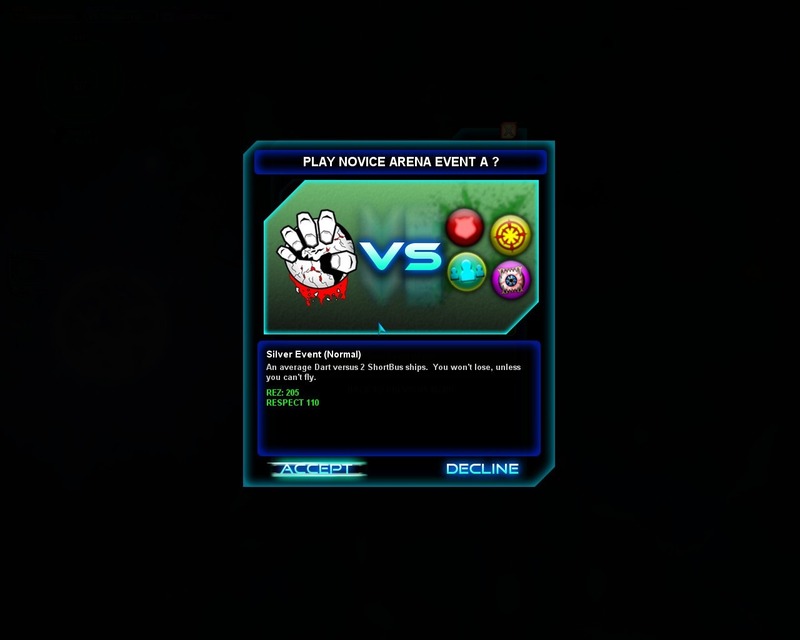 The beauty of Arena combat is there it’s consequence-free. The ships you use in the arena matches aren’t yours, they’re chosen by the Bounty Hunters, and can be different in each match. This means you’re not putting one of your own prized ships at risk, and if you loose the match, you can simply try again and again until you win, if you can. This allows you to get a dose of combat with little risk and eventually abundant rewards. For completing the novice tier, for example, I got a new specialist. I jumped into the mission and engaged both the UTA and the Civilians. It was a pretty damned fun mission, all told, with lots of glorious space combat and lots of big explosions, which I always love. There were a lot of enemies, and I lost my wingmen a few times, but in the end we finished the mission. In the ensuing fracas, I lost all three of my ships multiple times, but did get to see a new Bounty Hunter ship in the process — the expansion adds ten new Bounty Hunter ships — which looked pretty menacing, called the Pelican. I fought this ship for a while and eventually took her down, but it wasn’t easy, nope, not easy at all. After taking her out, the station brought in more reinforcements, so I hightailed it back to the mothership to save the game and take a break. Overall, I played maybe 4-5 hours, and had a BLAST. 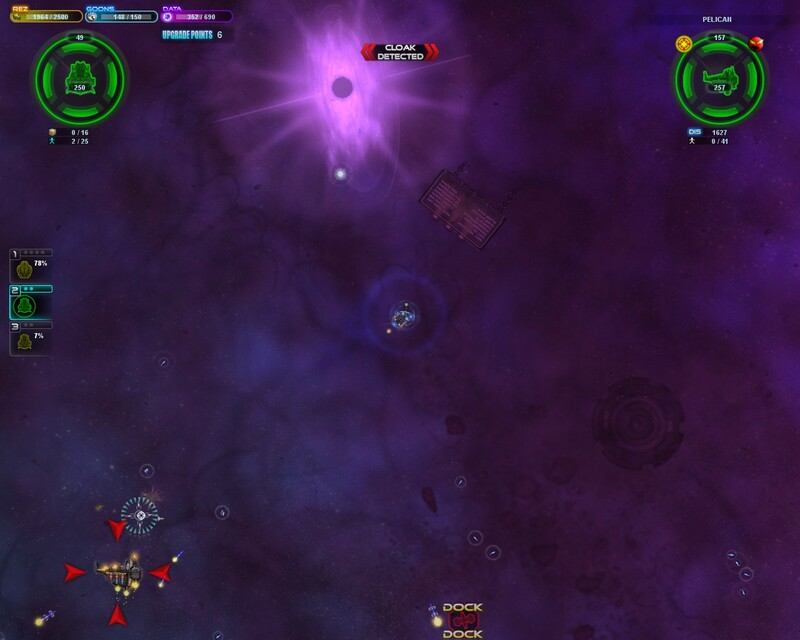 The major gameplay additions to SPAZ — the Bounty Hunter faction and arena combat — through this expansion are fantastic, and really made me wanna play more. 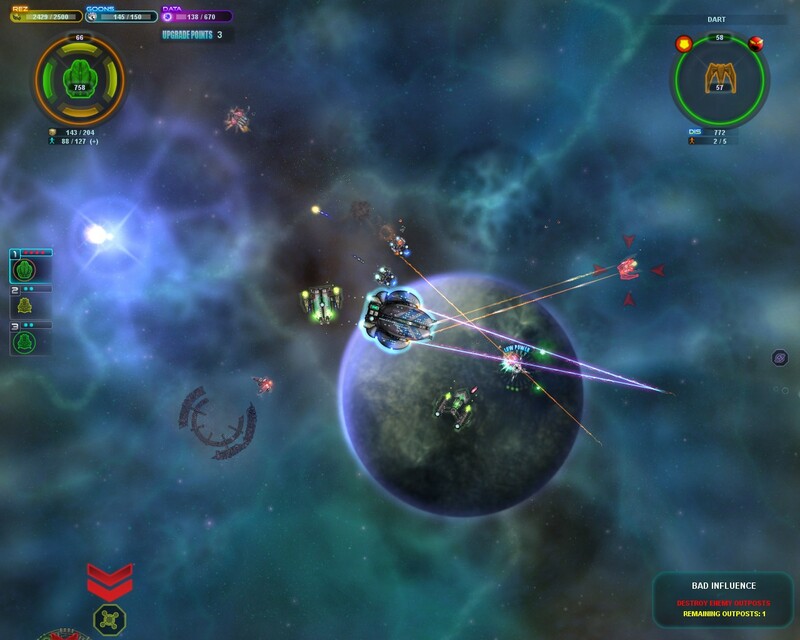 Besides these, the expansion makes a lot of changes to weapon lethality, ship AI and much more. 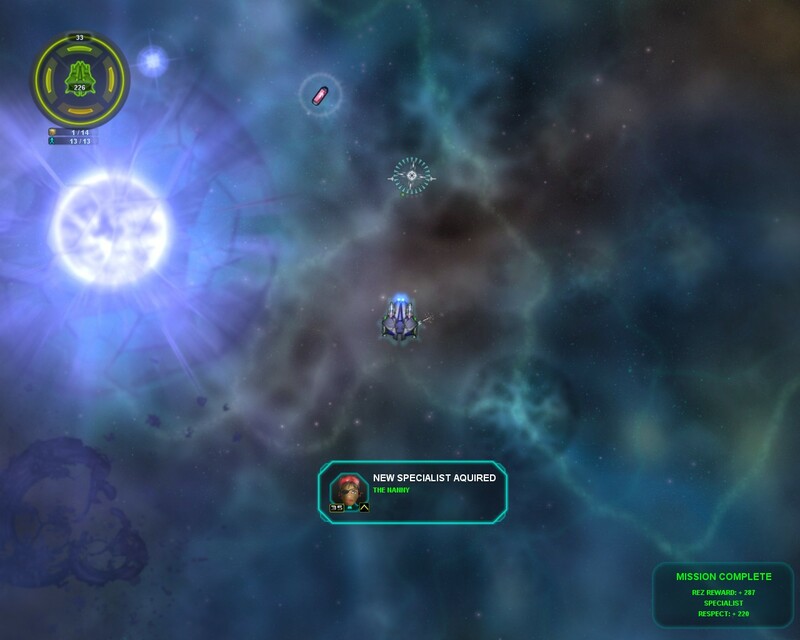 There are also graphical improvements thanks to AlienFX support, which include new lighting modes, nebulae colors and more. I don’t know if my card supports this, but I did notice background nebulae looking a whole lot prettier. The game also played speedily as ever on my old PC. 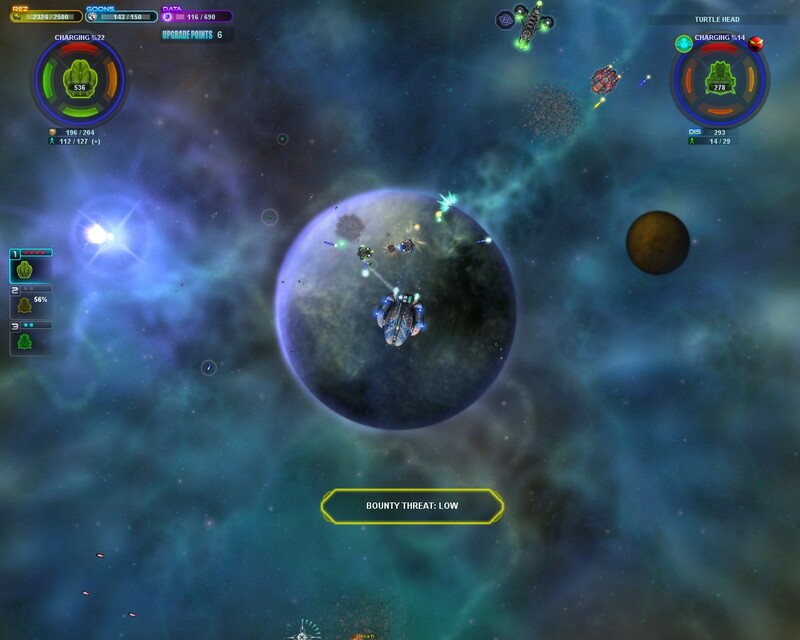 Ultimately, I think the new SPAZABH is not only a worthwhile update for existing owners of SPAZ, thanks to its new faction and the addition of arena combat, but it also adds enough, I think, to entice new players as well. SPAZ already had a lot going for it in terms of variety and longevity, and now with the Bounty Hunters adding a new layer to the proceedings, there’s even more for new players to sink their teeth into. This is a worthwhile expansion to an already excellent game, and it’s sown in seamlessly to existing play sessions that it won’t be a jarring upgrade at all. Overall, this expansion pack is a winner in every sense of the word. Thanks for reading, as always, and please enjoy my gallery of all of the screenshots I took of SPAZABH below. Enjoy! Hmm, looks like a lot of fun… Now I just need to find some time to play… And maybe decide if I should restart or play from my save (I didn't quite win in my save, but close). Previous story Off-Topic: Trying Out New Theme, Whuddya Think?